David Bornstein’s New York Times blog piece today, Crowdfunding Clean Energy, describes how solar energy is becoming another example of networked, distributed function potentially displacing hierarchic systems. With crowd sourcing, large numbers of people are able to each make small investments directly financing renewable energy. Distributed energy production in local solar installations is increasingly competitive with large-scale power plants. As the scale of these networked/distributed efforts grows, unit costs rapidly decrease. Bornstein describes social-cultural and ethical benefits as well as clean energy production resulting from this participatory system. While it can self-sustain and grow once launched, creative and assertive initiatives are required to get it going, especially because of the institutional momentum favoring centralized megaprojects. What if Wrangell-St. Elias backcountry planning and management is considered in this framework? How about thinking of power flow and control in land management as analogous to that in electricity production? For an array of reasons, centralizing electricity production in megaplants is inadequate to meet requirements of present circumstances. Similarly, centralized agency production and control of land management regulation is now also inadequate in Wrangell-St. Elias, because it is too inefficient and expensive to be affordable with current government budgets and staffing, because essential sources of information and expertise are located outside the agency, and because ongoing participation of locally-knowledged stakeholders is in itself a necessary aspect of the human experience for which the area is being managed. For management, consider these forums developing in some continuing way, so that park visitors, scientists, commercial operators, park staff, other locals, and the national and international constituency for the park report on conditions in the field, and raise and discuss issues and solutions. Those who know the place on the ground from multiple perspectives would contribute to monitoring and problem solving. One role of the National Park Service in this is as keeper of the public good, responsible for keeping alert to the long-term national mandates for the parks and setting boundaries on appropriate actions. But it would not and could not be the sole monitor, manager and regulator of what happens in the park backcountry. And the agency can achieve its management responsibilities only in a context of mutual trust and successful collaboration. Key questions are how and if that can be accomplished, given the divergent perspectives, goals and behaviors of the National Park Service and the multiple other stakeholders. That Yosemite is eliminating most backcountry ranger positions in the current budget crisis indicates what the Park Service can expect for staffing backcountry management in far-away, less-visited Wrangell-St. Elias. Even if the sequester gets resolved, long-term budgets aren’t promising. The Park Service is unlikely to be in position to plan, regulate, monitor and enforce adequately on its own. 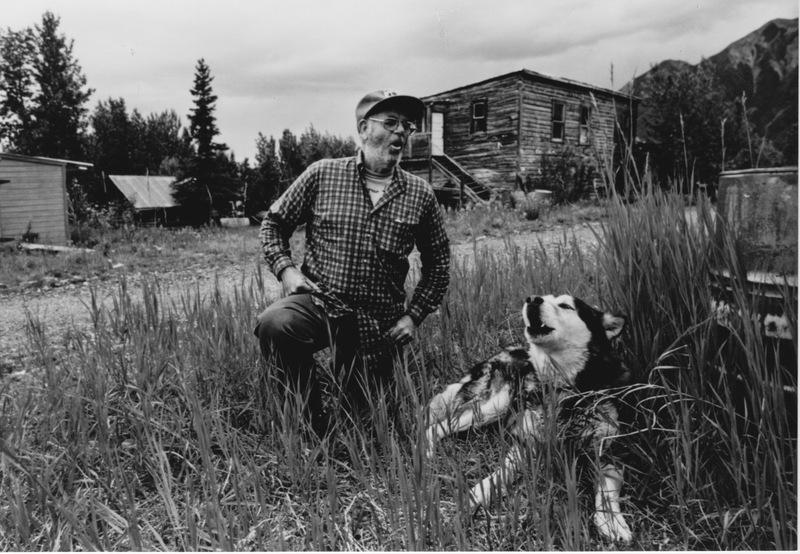 Because of the multiple involved legal jurisdictions and legislated limits on agency control, restricted government budgets, and the diversity of stakeholders with established sense of ownership in the place, effectively Wrangell-St. Elias management becomes in many respects the management of a commons, with the added complexity of a strong, but sometimes ambiguous and self-contradictory national mandate, which the Park Service as agent of the federal landowner is required to implement. I’m looking forward to seeing how the Nobel Prize winning work of Elinor Ostrom on common pool resources can be can be applied in the Wrangell-St. Elias case. I can imagine my mentor, Grant McConnell, scowling at the notion of managing national park wilderness collaboratively. His Private Power and American Democracy goes into the reasons why wilderness preservation requires moving control from local interests to national agencies with uncompromised protection enforcement mandate and authority. Grant’s critique should be fully understood and addressed, when constructing any collaborative management system. If the general ideas sketched in here have applicability, there is need for considerable further inquiry into the realities of how such decentralized systems would actually function in Wrangell-St. Elias, the problems involved, and possible ways to solve them. Can information expand to enable solving complex social problems, without requiring unsustainable energy consumption? Would considering the potential consequences of information flow, instead of or in addition to energy, affect this graph? Energy has always been the basis of cultural complexity and it always will be. — Joseph Tainter. “Complexity, Problem Solving and Sustainable Societies.” In Getting down to Earth: Practical Applications of Ecological Economics, Island Press, 1996. The common view of history assumes that complexity and resource consumption have emerged through innovation facilitated by surplus energy. This view leads to the supposition that complexity and consumption are voluntary, and that we can therefore achieve a sustainable future through conservation. Such an assumption is substantially incorrect. History suggests that complexity most commonly increases to solve problems, and compels increase in resource use. This process is illustrated by the history of the Roman Empire and its collapse. Problems are inevitable, requiring increasing complexity, and conservation is therefore insufficient to produce sustainability. Future sustainability will require continued high levels of energy consumption to address converging problems. —Tainter, Joseph A. “Energy, Complexity, and Sustainability: A Historical Perspective.” Environmental Innovation and Societal Transitions 1, no. 1 (June 2011): 89–95. What would happen if Tainter substituted the notion of “information” for “complexity?” Can information expand to support sustainability, without requiring high levels of energy consumption? Can major shifts in the organization of society, or some parts of society, result in a much greater level of function, without increase, or maybe even with decrease, of energy and materials use? What happens if an analysis like Tainter’s, or one that considers information along with or instead of energy input, is applied to problem-solving methods practiced in spiritual communities such as Christian monasticism and Buddhist sangha? 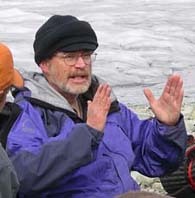 Also, I’m curious about what happens if ecological and evolutionary notions are applied to developing organizational responses to complex management issues, such as, for example, wildlands management in a complex national park like Wrangell-St. Elias, which is the size of Switzerland, with many engaged landowners, jurisdictions and stakeholders, and conservation and preservation issues. Would it be useful to evaluate networked/collaborative management models vs hierarchical/authoritarian approaches, using information and energy input-output considerations? Could doing that give insights into how best to respond to agency budget and staffing declines, which are happening at the same time that management issues are becoming more difficult and complicated? Networked/collaborative vs hierarchical/authoritarian management also likely differ in outcomes, beyond those typically identified in agency or business planning, but which other cultures, including but not limited to Christian or Buddhist ascetic communities, might feature. I wonder if applying information & energy input/output analysis in the planning process might tend to open up the process to an expanded set of alternatives. Maybe just by breaking set patterns of thinking & behavior? I realize all this needs much more research and thinking to be clear & useful. Comments welcome. 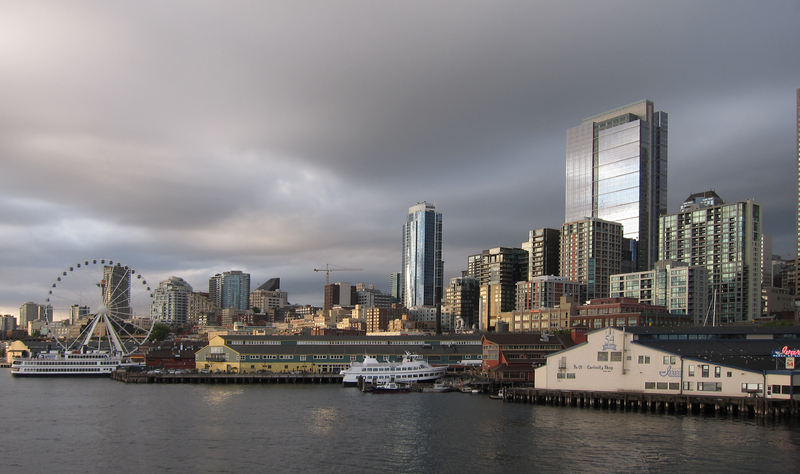 Here’s two versions of a photo taken looking back at Seattle from the Bainbridge ferry on my return from Alaska a few weeks ago: a reminder that urban landscapes can be as visually powerful as natural landscapes such as the Wrangell Mountains. Both urban and wild scenes embed infinite complex stories. Take a look at the effects of subtle differences between these two versions. One is slightly compressed laterally, with some very slight perspective distortion. To me, that landscape is more inhumane, impersonal and alienating than the version which has objectively correct proportions. I presume that our brains are always modifying perceptions, perhaps similar to what can be done in Photoshop, to adjust what we see to fit preconceptions, hopes and fears. If I believe the city is alienating, do I see it visually consistent with and re-enforcing of that belief? What can be accomplished by training the mind to be aware of perception biases and able to consciously alter them? 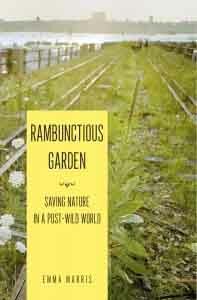 Emma Marris’s new book Rambunctious Garden is some of the best stuff I’ve seen on today’s wildness/wilderness issues. She critiques the notion of a “baseline” ideal for a landscape, e.g. pre-Euroamerican for Yellowstone or 1938 for Kennecott, Alaska. Her work is limited to nature & ecosystems, rather than human history as in McCarthy-Kennecott, but I think the same ideas apply and could be extended to fit. Her writing explains just where the National Park Service is coming from re both its natural area and historic site management founded on the baseline ideal, and shreds it. From what I’ve read so far (only part way through the book), I think she is overconfident about the potential for well planned management to provide solutions and is insufficiently unaware of its downsides. Similar to the way complexities and ambiguities render the baseline ideal landscape undefinable and unattainable, complexities and uncertainties limit the role of environmental management (a term which my mentor Grant McConnell used to spit out with disdain). Further steps developing from Marris’s work so far could include expanding it to the social/cultural and putting her critique of the baseline ideal together with a critique of planned management. The two critiques make a good pair. Would be very interesting to do that and see what develops from it. Marris, Emma. 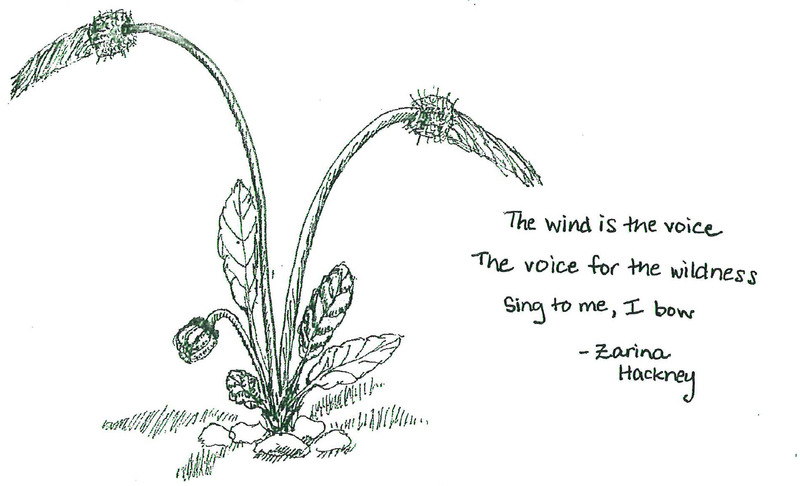 Rambunctious Garden: Saving Nature in a Post-Wild World. 1st ed. New York, NY: Bloomsbury USA, 2011.